From the moment you set foot in our luscious resort on the striking cliff tops of Kamala, we aim to transport you far from your every day cares into a state of complete relaxation. But when you’ve travelled long distances to reach this state of bliss, sometimes even the most stoic traveller can have their trip cut short thanks to the ill effects of jet lag. We want you out enjoying fine weather and even finer dining at our exquisite restaurants as soon as possible, not tucked away in your room all day only to lie awake all night. That’s why we recommend booking ahead to ensure you start your trip off on the right foot with a pampering treatment at our sensuous spa. In fact, the Spa by Paresa was recently featured in an article by Expedia on some of the best treatments in the world to help you recover from jet lag. Expedia urges you to ‘Recover from Jet Lag at These Spas’, listing our ‘Heaven on Earth’ massage as one of the best ways to beat fatigue and sluggishness and get your trip off to a flying start. No matter what aspect of your wellbeing needs a little attention, the Spa by Paresa is guaranteed to leave you feeling on top of the world. “We are pleased to announce the appointment of Luca Mancini to the position of Executive Chef at Phukets luxury resort, Paresa” announces the resorts General Manager Scot Toon. Click here. Famous for award winning restaurants in London, Sydney and Bangkok, David Thompson will be at Paresa on 14th June 2013. Award winning Chef David Thompson at Paresa Phuket. Click here. A girlie weekend away with Champagne and popcorn while you read your new Fifty Shades of Grey Books at Paresa Phuket. Click here. Looking to marry on this special date? 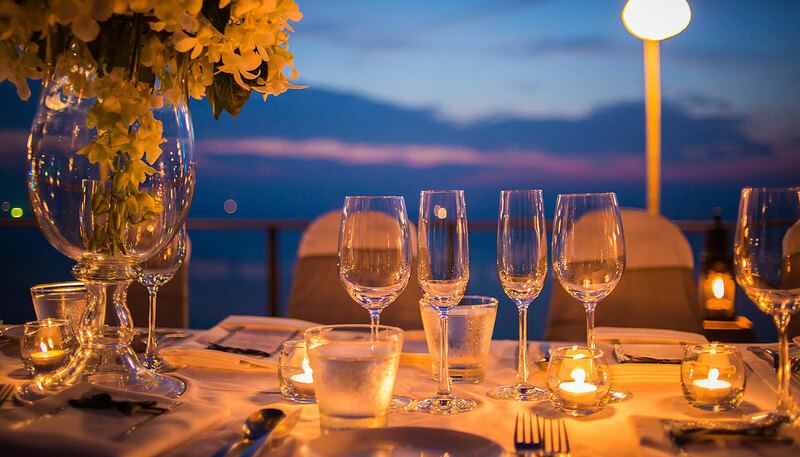 Paresa is offering a special wedding bliss package that you can bid to recieve. Click here. 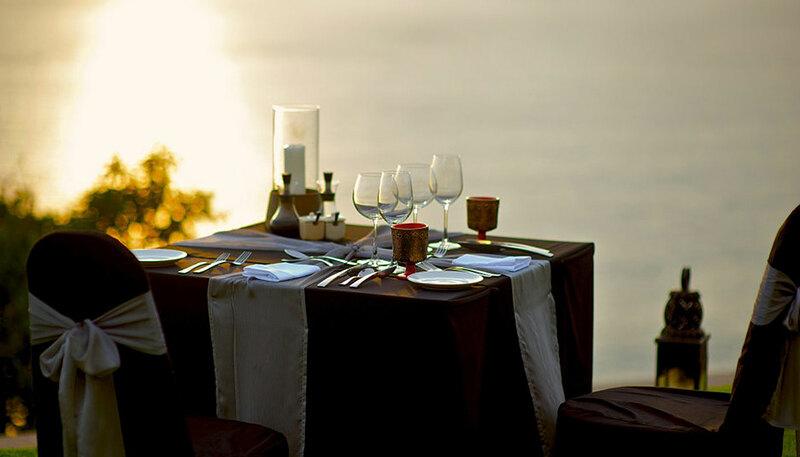 We are excited to announce the resorts and restaurants participating in our annual charity dinner at Paresa Phuket. Click here. Celebrated for its romance and scenic beauty, Paresa Phuket this year celebrates the moon cake festival with a selection of moon cakes including the Gold and Diamond moon cake priced at US$8,888. Click here. In March Paresa welcomes 5 of Phukets best chefs along with our own culinary team to produce an exciting evening of food and wine for charity. Click here. Travellers Choice annual awards from TripAdvisor are out! Paresa is listed under Romantic and Spa Hotels – Asia Click here. Paresa wins two awards at the annual Thailand Boutique Awards 2010 for Phuket. Wining Best Nature and Environment Award, along with the big Award of Best Accommodation. Click here. Paresa Resort offers luxury pool villas and pool suites in Phuket and now offers a selection of retreats starting with our Natural Detox Retreat at our Thai inspired spa. Click here. Showcasing the cuisine of Bali and Thailand at Paresa in October. Click here. Now Paresa Phuket offers private villas for rent in Phuket with the service and standards of a luxury resort. Click here. Perched high on a cliff top overlooking the azure blue waters of the Andaman Sea and surrounded by sun-drenched tropical forests, new luxury boutique resort Paresa introduces unsurpassed levels of indulgence and pampering ideal for guests seeking the ultimate Phuket getaway retreat. Click here. Paresa, the luxurious Cliffside retreat on Phuket’s “Millionaire’s Mile” has unveiled its own signature scent in time for its opening this summer. Designed by Bangkok’s top scentologists, KarmaKamet, the specially created fragrance has been selected for an exclusive range of bathroom products including shampoo, conditioner, shower gel, body lotion and soap all of which will be provided in each of the spacious and stylish guest suites and residences. Click here. Paresa, the luxurious Cliffside retreat on Phuket’s “Millionaire’s Mile” now offers guests staying in their luxurious Cielo Residence complementary access to the “Coral Executive Lounge” at Phuket International Airport. Cielo Residence is the ultimate in luxury holiday living with its own private infinity pool where you can relax and enjoy your fresh Lavazza coffee made at your personal espresso machine, or a glass of chilled white wine poured from your wine cellar. If it is too hot to move, just call your personal butler who is there to cater for your every need throughout your stay. In addition you can also take advantage of your private living and dining pavilion, spacious verandah and your indoor and outdoor bathrooms. Click here. 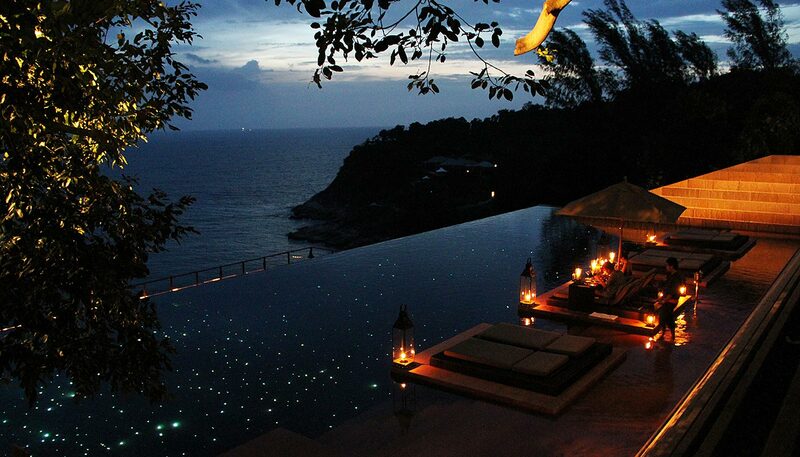 Paresa, the luxurious Cliffside retreat on Phuket’s “Millionaire’s Mile” has unveiled its Energy Pool. Designed to recharge and vitalise the body and mind, the pool is made from black terrazzo and lies under one of the resorts strong and inspiring old trees, generating warmth from the terrazzo and peacefulness from the tree. Located on the main Infinity Pools sundeck; the Energy Pool has stunning Andaman sea vistas. Click here.